Practice Franklin Method® exercises and target painful trigger points with this set of smooth Franklin fascia balls. 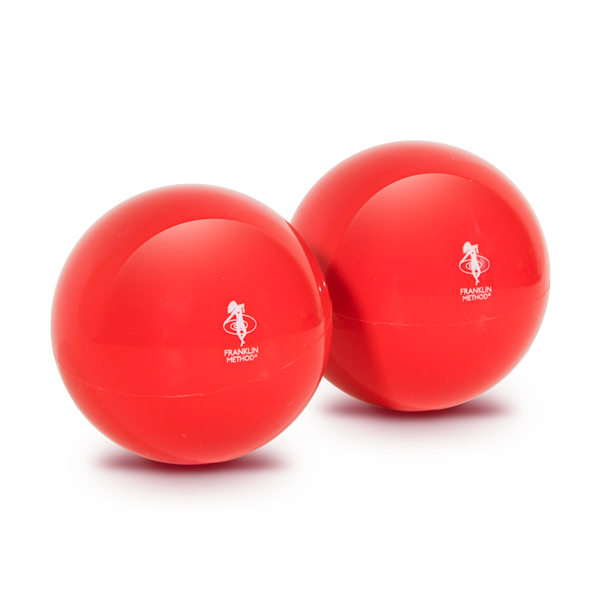 This pair of red Franklin Method® exercise balls is perfect for massage of constricted fascia. The balls have a smooth surface like their larger orange counterparts, but the smaller diameter allows for deeper, more precise trigger point relief, especially on the feet, shoulders, neck and hips. The firmness can be adjusted manually through inflation. A needle pump is recommended for additional inflation (sold separately).